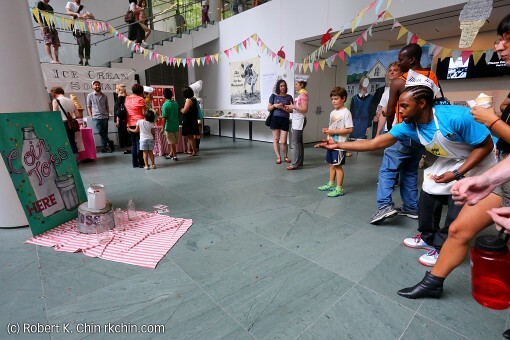 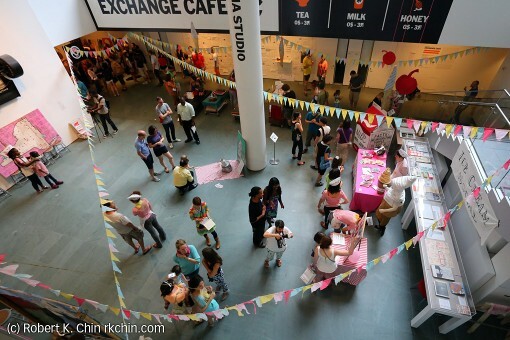 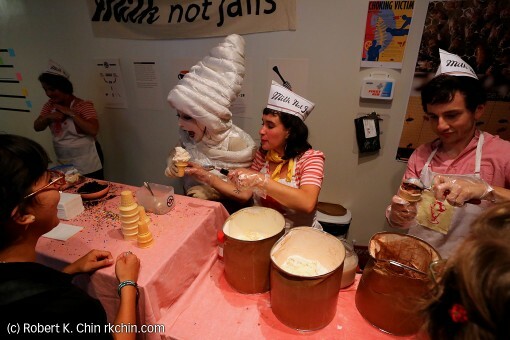 Milk Not Jails held an ice cream social at the Museum of Modern Art Studio: Exchange Cafe as part of their campaign to raise awareness to the issue of prisons, and mass incarceration in New York State. By supporting local farmers, and agriculture, New York State can wean itself away from a decaying prison economy and into one based on sustainability and growth. The ice cream social was part of Exchange Cafe closing night held inside the MoMA education and research building, 4 West 54 St.
video of the ice cream social, plus presentation. Milk Not Jails has very creative, and fun visuals, and the costuming helps tie the event all together. 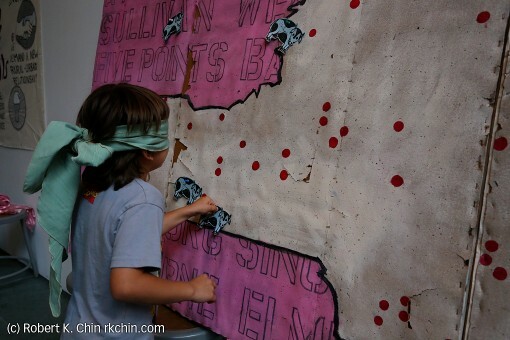 …there are old-fashioned styled games, sometimes with a twist, e.g., Pin the farm on the prison. 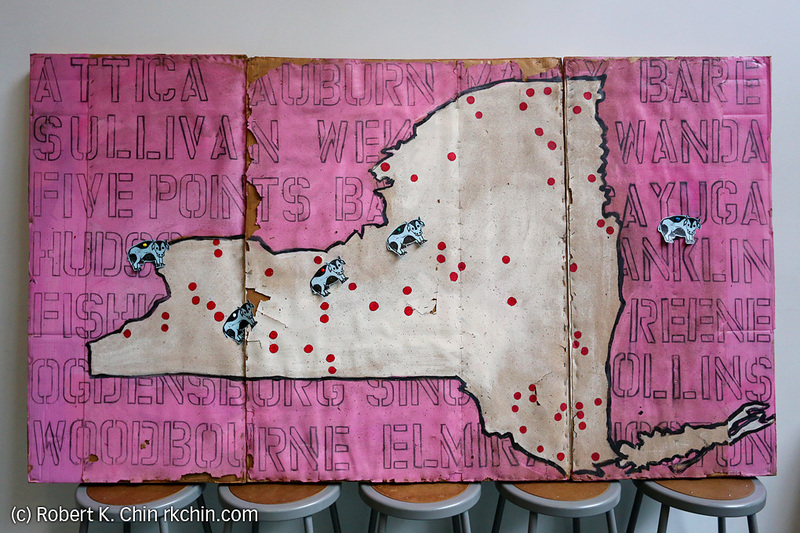 There are many prisons upstate, and most are located far away from population centers which only cause more stress for families of those incarcerated. 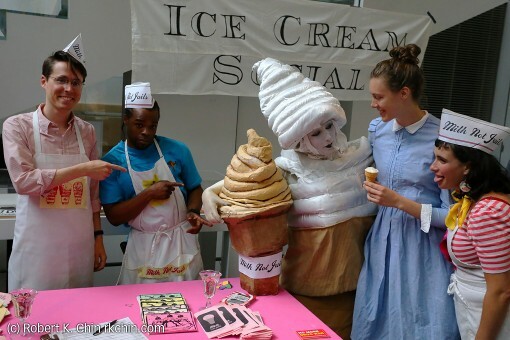 ….and ice cream. 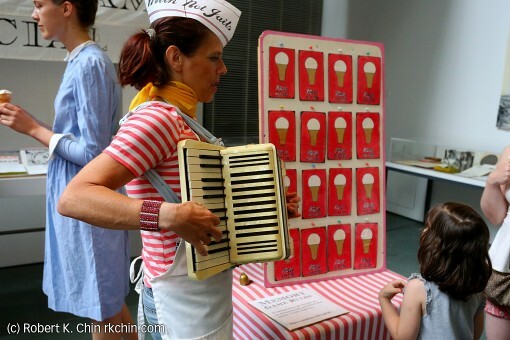 The ice cream for this event was donated by Ronnybrook Farms. 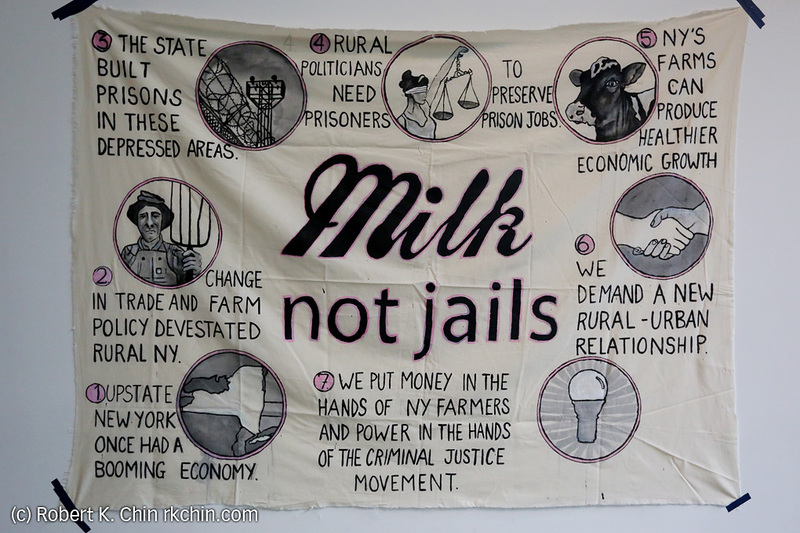 Farmers are a very real part of the campaign, and Milk Not Jails helps distributes products from participating farmers to CSAs around the city.